After you have finished reading my last post Statist Tools: Compliant Media Editing, I'd like you to consider the possibilities of the reaction at the Holder DOJ to this headline. Rivals DirecTV and Dish team up to sell customized political ads. Q: What do you suppose will be Eric Holder's first response should any of those political ads be critical of his boss, the Bummer? A: Anti-trust indictment here we come! 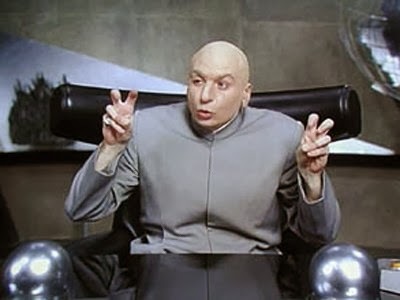 "Dish and DirecTV said they would consider partnering with cable companies if it means they can reach a larger base." Q: In the unlikely event that all those subscription services suddenly begin acting as if larger government is a bad thing (when you stop laughing...), what will the SSM be calling such an agreement? A: An anti-American conspiracy in dire need of eradication. What has happened to America? Look deeply into your mirror. It is clear that those at the top of the influence peddling pyramid know full well that what I'm relating here is obvious to just about every American who is willing to pay attention. So it only goes to prove that you creeps at the top are seeking to provoke a reaction from one or more hotheads so your fascist preparations can finally begin in earnest. What you are ignoring at your own risk is there are many people who understand the dangerous game you are playing and may be even more ruthless than you. The next member of your cadre who dies prematurely in all likelihood will not be due to natural causes. But there will be no evidence to the contrary other than whatever your bunko agents try to invent. Think Andrew Breitbart. You may currently believe that your worst fear is what will happen if you cross your other club members. Reality can prove you wrong. Think about repenting while you still have time. Two days before the State of the Union speech to be delivered by the President of the United States, that same president was charged with abuse of power by a news-making senator. It was the kind of statement that news organizations once craved because such controversy helped them sell interest in their shows and gain them revenue. But what would one expect from a "news" organization whose purpose was not to gin up interest in its shows but rather to promote another agenda even apparently more important than their revenue generated by viewership? You'd expect them to edit out the controversy. Well, here are the facts of two videos. (You may want to save this page so you will have a record when the originals are dumped down the memory hole.) The first is what was extracted by CBS's Face the Nation when Bob Shieffer interviewed Senator Ted Cruz on Sunday Jan 26 2104. It is blatantly obvious that CBS is trying to shield President Obama 2 days before his big speech. It, like Pravda and Izvestia before it, knows no shame when it comes to marching to the demands of the Party. MSM continues to live up to the Soviet-Style Media label. I do not recall what the major news organ was for the Nazis, but I'm sure it was little different from the Soviets, only it lived a shorter time. An SSM living a shorter time. Has a nice ring to it, no? What does Dr. Evil think of CBS News? I’ve been tweeting variations of this line at each CAGW related story in the hopes that many others begin to repeat its essence. Marginalize the marginalizers. Rent seekers co-opting science to coerce consensus via expulsion are NOT scientists. Others will repeat this sort of message until there will be no place you clowns go where your audience has not heard it. We will pile the ridicule high enough and so that even the most brainless rent seekers among you will look for safer pickings. You will help bring sanity and adults back to proper prominence or you will lose to a Higher authority. 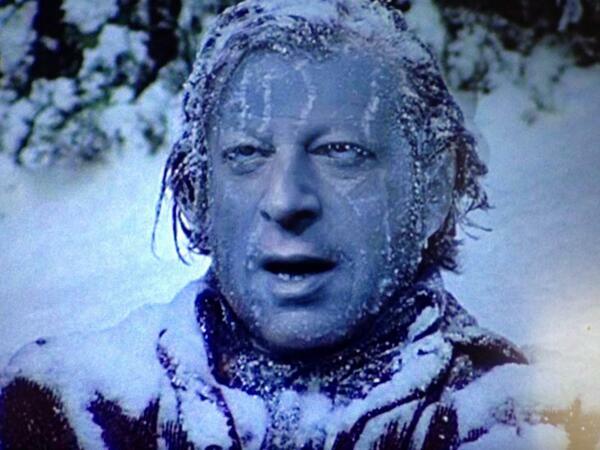 Given the inconvenient turn in climate outlook, this is much more fitting than the Jack Nicholson original. Just when you think a format has run its course, someone finds a way to reinject new life into it. I will not make you any promises, but I found the What would Mawson do? segment hilarious. If it so moves you, for extended chuckles you will find a copy of the screenplay of the Mawson segment below the break. that certain of you members of the Washington ruling class would have this happen to you? The distinctions as laid down by Angelo Codevilla a few years ago will become all the more contrasted this Happy New Yeah. I suspect it must be in pursuit of evermore elusive sexual kicks that you hoity-toity experience* from knowing that your policies are killing us hoi polloi. I have met you people. Any claims you make that your actions are in pursuit of the public good would be laughable were the results not so deadly. *Even greater kicks than disgraced former prosecutor and governor Elliot Spitzer got from play-strangling his hookers. His actions were mostly fantasy/play while the actions of you ever more brazen Ruling Class cretins are resulting in the real thing. And I think you still consider him one of you. You really have no normal sense of shame do you? Given all the muck you helped create and that you love to wallow in, I know that whenever the option occurs to you, you see it would be a shame for you to leave it. But leave it you must if there is any hope remaining for you to save your soul.